#DeFi was created as a shared community for projects developing open source financial primitives. We saw an overlap in the problems that decentralized finance protocols were trying to solve and thought there would be no better way to tackle them then by forming an open community of like-minded projects. Interoperability and Open Source — Members of DeFi take interoperability into account when building their projects. This helps strengthen the compounding effects of all our projects as a whole. Open sourcing helps us reach this goal by allowing us to collectively understand how all of our products can be woven together on a technical level. Accessibility and Financial Inclusion — We strive to create a financial system that is accessible to anyone with an internet connection. We believe in a world where value flows freely, regardless of one’s geographic location. Financial Transparency — We believe that financial services should not be built in opaque silos, but rather that market-level information should be transparent to all participants while still preserving individual privacy. By putting a team effort behind these shared principles, we amplify our message and onboard new developers, users, and community members to our shared vision for a better financial system. We’re firm believers that the open financial system won’t be built in silos, it will require interoperability between decentralized financial protocols. Compounding financial primitives make each platform more valuable because they unearth new utilities that can’t be accessed by a single protocol. We’re already seeing cross-pollination between #DeFi projects in action. If ETHSanFrancisco was any indication, we’ll see many new applications that leverage multiple decentralized financial protocols come to market in the near-future. At its core, #DeFi is a shared rallying cry to foment excitement around the decentralized finance mass movement. The more people that align with our mission and values, the higher the likelihood we have of making open finance a reality. 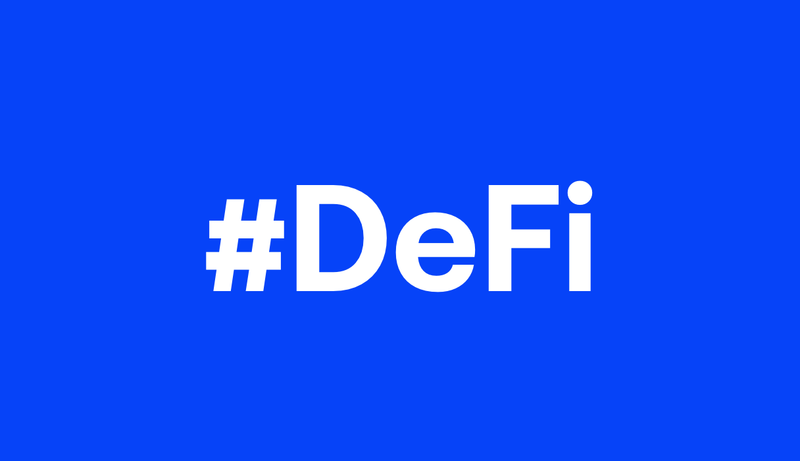 When we started #DeFi, our intention was to keep it as an informal group that helps organize developer events and supports basic community forums. To our pleasant surprise, enthusiasm for the community and the movement has grown rapidly and we’re seeing constant demand from new projects to become a part of #DeFi. So we’d like to formally announce the newest members of #DeFi! MakerDAO — a decentralized system that allows users to collateralize crypto-assets to create the DAI stablecoin. dy/dx — a decentralized protocol for margin trading and derivatives on the Ethereum blockchain. Check out their recently launched product, Expo! Compound — a decentralized protocol for money markets on the Ethereum blockchain. Users can lend their crypto assets for algorithmically set interest rates. CDx — a decentralized protocol for tokenized credit default swaps. Investors can hedge exchange risk, insure against hacks, and trade with confidence. Coinbase Wallet — a mobile application that allows anyone with an internet connection to access the Ethereum network. Kyber Network — an on-chain liquidity protocol that allows any application to access decentralized token swaps. bZx — a decentralized protocol that allows users to take long and short positions on Ethereum tokens. bZx is live on BambooRelay. MARKET Protocol — a derivatives protocol that allows users to buy or sell the price of any asset, for example, shorting XRP or going long Apple stock. 8x Protocol — a decentralized protocol for subscription payments on the Ethereum blockchain. Centrifuge — a decentralized operating system that allows businesses to transact on a global network while maintaining ownership of their data. Connext — a state channel network that enables cheap, low latency payments on Ethereum and makes it easy for developers to build P2P applications. Loopring — a protocol that allows anyone to build a decentralized exchange. Please note, that we have intentionally removed the strict developer platform constraint. If you’re building an end user application like a relayer, you’re more than welcome to become a member of #DeFi. Membership in #DeFi is primarily a demonstration of your project’s adherence to the shared principles stated above. However, we do encourage projects to organize their own regional #DeFi events, similar to how some of the #DeFi members put on #DeFi Summit — San Francisco. The more avenues for member projects to spread the message, the more awareness we can create. If you’d like to put on an event, ping one of the admins in the #DeFi Telegram channel and we will provide playbooks and best practices. We’re also excited to announce our next event, #DeFi Summit — Prague, right before DevCon. As with #DeFi Summit — San Francisco the event will be comprised of deep technical workshops and strategy sessions. #DeFi Summit — Prague is a full day event that will take place on October 29 at MeetFactory. This is a limited capacity event so be sure to fill out the application form if you’re interested in attending. And click here to apply to lead a breakout session. If you have any feedback regarding our community forums or new ideas about how we can grow #DeFi, please don’t hesitate to reach out. The decentralized financial system can only be built if we do it together! Brendan Forster is Head of Growth Ops at Dharma Labs — a YCombinator and Polychain Capital backed R&D shop focused on building infrastructure for an efficient, borderless, and transparent credit market. Brendan was formerly an expansion manager for UberEATS and a corporate strategy analyst at Microsoft, and graduated from the University of Pennsylvania’s Huntsman Program with a B.S. in Economics and a B.A. in International Studies.